A Peterborough woman will appear in court after allegedly threatening a PCSO with needle. The incident took place at 1.45pm yesterday, Tuesday November 27 in the Stanley Recreation Ground area of the city off Crawthorne Road. 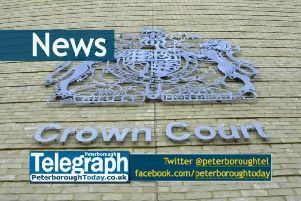 Lucy Hutchinson, 36, of Charnwood Close, Peterborough, has been charged with a public order offence and bailed to attend Peterborough Magistrates’ Court on December 28.